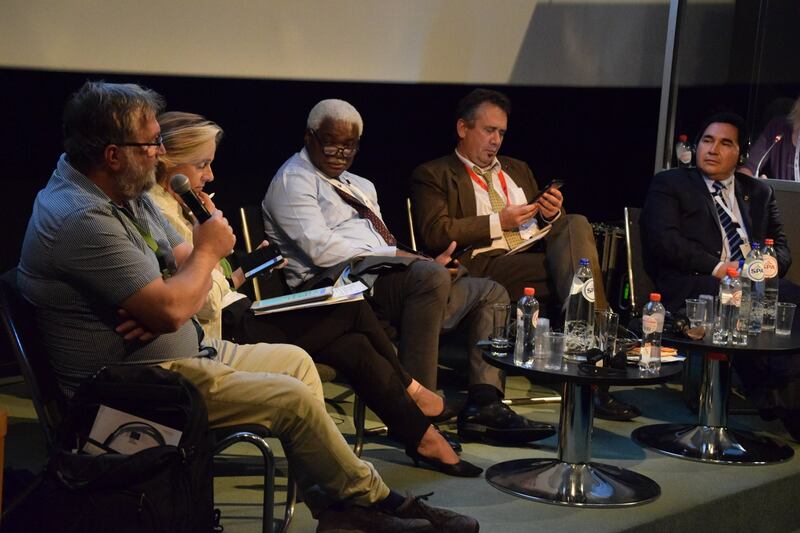 Cooperatives Europe, represented by Marc Noel, and ICA regions participated in the Partnership Forum 2017 with two high level meetings and two sessions on economic development. The event organized by the European Commission’s DG DEVCO is an interactive platform for constructive dialogue between EU institutions and its Partners with the objective of responding to the evolving challenges in the field. Cooperatives Europe, as part of the Coordination Union of the ICA-EU’s partnership program on cooperative development, participated and supported, in collaboration with the ICA offices, the session of ICA and Fairtrade International, entitled “Partnerships with Participative Economic models: people-centered initiatives in development”. The participants of the session had the opportunity to exchange on the importance of partnerships with people-centered enterprises, such as cooperatives, to achieve inclusive socio-economic development. REScoop.eu, member of Cooperatives Europe, contributed to another session of the Partnership Forum, entitled “Inclusive local economic development: shaping an ecosystem to counter rising inequalities”, engaging in a dialogue with Local Authorities for the promotion of the cooperative model as an innovative approach to succeed inclusive economic development. Director of International Cooperation and Development Policy to exchange about the new Consensus and the development partnership activities. As the cooperative model figures high on EU policy priorities in development, our proposals focused on how to increase participation of such economic organisations in future implementation.